Effortlessly stream Full HD 1080p 3D content to your projector or TV wirelessly. Eliminating the hassle and extra cost of installing long cables. The WHD200 allows you to connect to any HDMI device such as a Blu-ray player, digital set-top box, games console, laptop or AV receiver. Send video signals with audio from any HDMI device such as laptops, Blu-ray players and games consoles directly to your projector or display wirelessly; eliminating the hassle and extra cost of installing long cables. Supports Full HD 1080p resolution to give you sharp and detailed images from HD content without downscaling or compression; perfect for watching movies, viewing photos and documents. 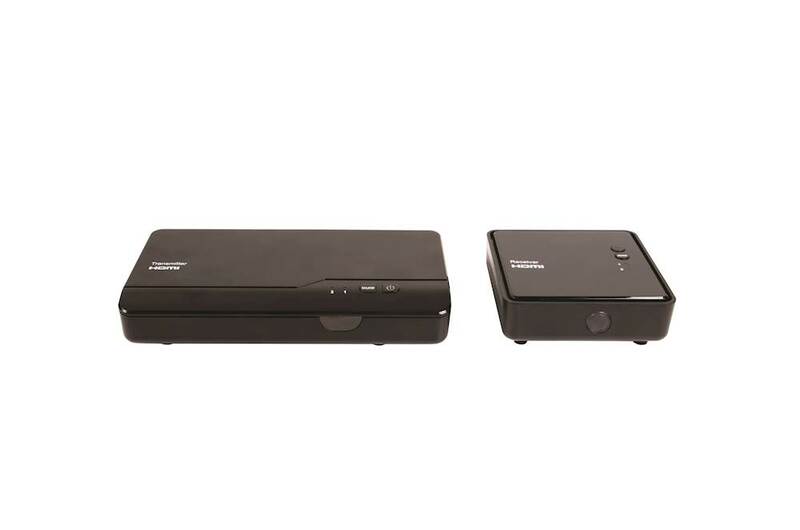 Connect the WHD200 receiver directly to a HDMI port and power the device via the USB-A power port* on the projector or TV. Or use the included external USB power adapter. *USB power must provide at least 5V 1.5A to power the receiver. Do you own the WHD200? Write a review and let everyone know about your experience. And it is pretty impressive! If you want to put the projector the other side of a room or even having it streamed and sent to a TV in another room that has a hefty brick wall in between. The fact that it has managed to go through two doors and a brick wall – I am pretty impressed! I give it a thumbs up. I’m surprised – I didn’t expect it to work so well. I noticed zero difference between it being wireless from this type of distance (about 12 feet to it being hard wired, normally set up with my TV. I noticed no difference at all. In terms of the quality of the image and smoothness – I wasn’t disappointed. It is fantastic if you’ve got a projector and you don’t want to have it hard wired with a 15 foot cable. The footage is really smooth and not jumpy at all. It is exactly how you would expect it if it was hard wired. I was really pleased with the quality and I was a little bit surprised. This a great option if you don’t want to have the hassle of really long HDMI cables connected to a projector. "It is a pleasure to how everything works straightaway. Even controlling the satellite receiver via the remote control works fine." "The transmission of the signal worked very well, even when placing the transmitter in the cellar." "Conclusion: It is easy to install, works instantly and absolutely reliable." The HD151X supports Optoma’s wireless projection technology, so you can move your projector around the room without having it tied to your AV cabinet. In the same room, we were able to place the HD151X and our PS3 about 35ft apart with several boxes and obstacles in the way before the signal started cutting out. Whereas BenQ’s system only managed about 12-15ft when we placed our PS3 in the next room, the WDH200 achieved more than double this distance with the same number of obstacles in the way, as we got to the other end of our testing room roughly 30ft away and still had a clear picture. This makes Optoma's WDH200 the superior wireless projection kit.